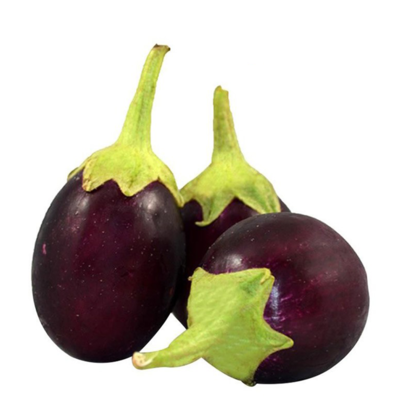 Dark purple, glossy and thin skinned, this variety of brinjal is popularly eaten as Bhartha. The skin as well as seeds are edible and give a crispy, fibrous and little soft texture with a mild taste. Dark purple, glossy and thin skinned, this variety of brinjal is popularly eaten as Bhartha. The skin as well as seeds are edible and give a crispy, fibrous and little soft texture with a mild taste.